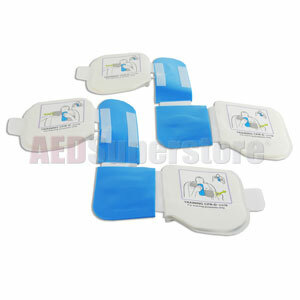 Replacement CPR-D Demo Pads. Includes a pair of CPR-D Padz with tabbed pull-away gel covers. Replaces worn pads from complete CPR-D Demo/Training pads used with the Zoll® Simulator for the AED Plus.